Personal accounts of medical care are flourishing and fall into several distinct genres. The largest group consists of narratives of sickness and caregiving written by patients and family caregivers. Many of these centre on experiences with hospitals and health professionals, and relate journeys through an often bewildering round of tests and treatments in a system that has its own opaque logic and self-referencing imperatives. 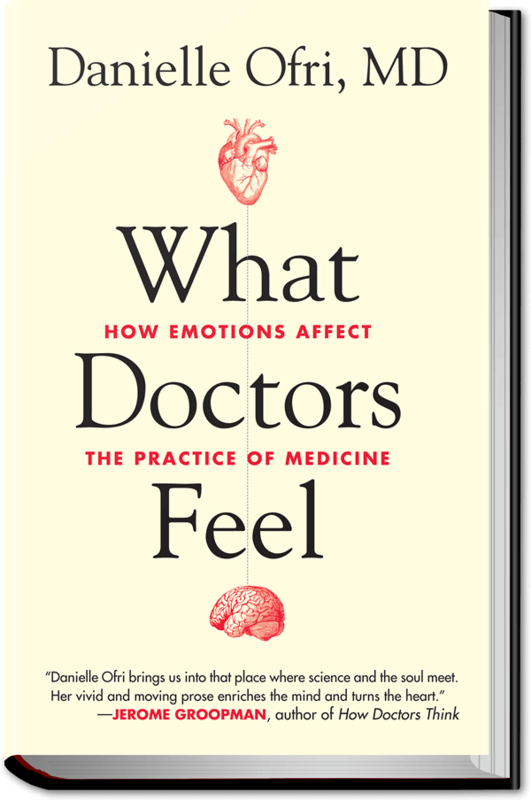 More recently—and in increasing numbers—there are physicians’ stories, in which we read what physicians feel about their patients, their roles, and also about themselves. Patient, family, and physician accounts vary, of course, with respect to expected audience, quality of writing, aesthetic ambition, narrative structure, theoretical interest and sophistication, and influence. Although these accounts all offer perspectives on patient-doctor relations, it seems inevitable that there is a basic divide in which patients and caregivers essentially write about their experiences, and doctors about theirs. Thus, patients often write about the loneliness and isolation of illness, with its anxieties and uncertainties and the frustrating burdens of treatment; family caregivers generally write about the dedication and humanity of those strangers in whose hands they find themselves, but also about the inattention of other health professionals they encounter to caregiving practices and also about coping outside of hospital; and physicians write about the many troubles and occasional triumphs of doctoring. Physicians often find lay perspectives inadequately informed about medical science and the bureaucratic limitations on care; whereas patients and family members often regard health professionals as uninterested in what it is really like to live through an illness and insufficiently prepared to contribute to the caregiving they must sustain by themselves at home. Where this is the dominant experience, the result is not just damaging and erroneous stereotypes, but counter-productive distrust and vexation on both sides. Doctors’ accounts of caregiving disclose a not-so-hidden influence of the professional construction of clinical cases as short, technical vignettes: highly focused, highly compressed, thin on context, and thick with a hypertrophied sense of responsibility and expectation of control. The physician’s construction of clinical reality, when read from the patient’s perspective, can seem stilted because so little of the patient’s experience is brought to bear and, when feelings are addressed, they are more often those of the clinician. The emphasis in many physicians’ writing is on compliance, complaints from patients, and burnout, and in the patient and family accounts on perceived professional indifference and doctors’ use of a hegemonic language that mistakes who the protagonists really are. This division in discourse is present even in a sensitive and compelling account by a committed professional caregiver. 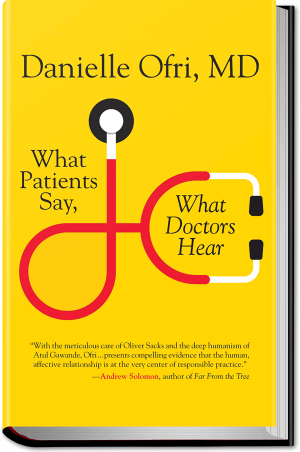 Danielle Ofri is an American internist who practices and teaches at Bellevue Hospital in Manhattan, and who has written previous books on becoming a physician at Bellevue and on lessons learned from her patients. These are serious contributions to medical humanities and to caregiving. 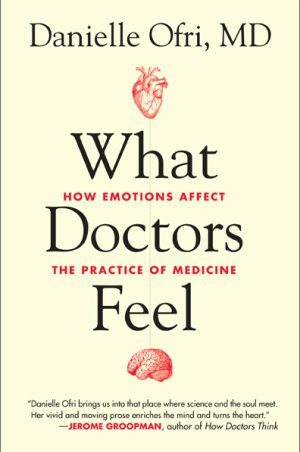 Not surprising for a frequent contributor to The New York Times, Ofri is a strong writer and What Doctors Feel: How Emotions Affect the Practice of Medicine is as close to a page-turner as a clinician’s story is likely to become. Ofri is especially effective at describing those untoward clinical experiences that create shame, fear, and anger in the clinician and that go on to influence her practice and career. As a kind of golden thread stitching the chapters together, Ofri includes an account of one of her most arresting patients, Julia, a poor, undocumented Latino mother with a progressive cardiac disorder that required a heart transplant, with whom Ofri developed a deep and long-term relationship. Julia’s death affects Ofri profoundly, throwing her into serious bereavement, which is remarkably well described.